Coconut oil, a medium chain triglyceride (MCT), is gaining popularity in the pet world and with good reason. Here are some of the ways the oil can provide many benefits for cats, dogs, horses and more. MCTs are fats that metabolize differently than long or short chain triglycerides. They are broken down in the liver rather than in a dog’s or cat’s stomach and small intestine. 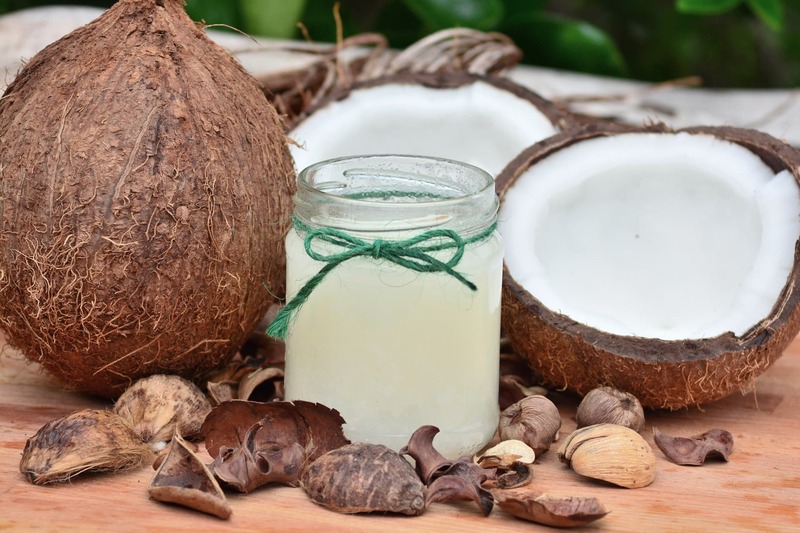 MCT coconut oil can be used as an instant energy source or turned into ketones. This fat can also be used as an energy source for the brain. Since MCTs can more efficiently be turned into energy than other fats, they are less likely to be stored as fat. Coconut oil contains all four types of MCTs (caproic acid, caprylic acid, capric acid, and lauric acid), making it one of the best natural MCT resources. It is also the richest source of lauric acid, which is a powerful antimicrobial agent. For dogs that cannot tolerate most fats, coconut oil can be helpful in increasing calories and the absorption of fat-soluble vitamins. MCTs are a form of fat that does not require pancreatic enzymes for digestion, so it is often tolerated by dogs with pancreatitis, exocrine pancreatic insufficiency (EPI), and other forms of malabsorption. Because each pet is a unique individual, we recommend talking with your veterinarian before adding any nutrient or supplement to the diet of a pet with pancreatitis. Treatibles includes MCT coconut oil throughout the product line not just because it is beneficial for the skin, digestion and immune system, it is also contains antiviral, antibacterial and antifungal properties. The bonus? Most animals love the taste! Check out our chews, capsules, dropper bottle oils and ready packs and see for yourself.